Patrolman William J. Von Weisenstein was struck and killed by a vehicle. Patrolman Von Weisenstein was on his post and inside a marked patrol car. He observed truck approaching that appeared was going to strike the patrol car. Patrolman Von Weisenstein exited the patrol car, and was struck by the truck. Patrolman Von Weisenstein was taken to St. Joseph's Hospital, where he died from his injuries. 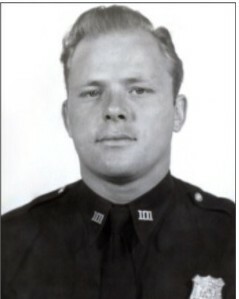 Patrolman Von Weisenstein was assigned to the 101st Precinct in Queens. It's been 70 years, you are not forgotten. South members who died in the Line of Duty. THANK YOU for your sacrifice. R.I.P.